Dr. Germano Montemezzani was born in Locarno, Switzerland, in 1963. He received his master degree (Dipl. Phys. ETH) in 1987 and the Ph.D. in physics in 1993 from the Swiss federal Institute of Technology (ETH) in Zurich (Switzerland) with a thesis on the recording and fixing of photorefractive gratings produced by visible and ultraviolet light. He then held a post doctoral position in the group of Prof. Dana Z. Anderson at the Joint Institute for Laboratory Astrophysics (JILA) of the University of Colorado at Boulder working on self-organized optical processing systems. He returned to the Nonlinear Optics Laboratory at ETH in 1995 taking the role of team leader for the Photorefractive Optics team. He received the "Venia Legendi" (teaching habilitation) from ETH in 2002 for a thesis on "Optical wave manipulation and signal processing in anisotropic photorefractive materials". In 2004 he became an associate professor at the Paul Verlaine University in Metz (France) and since 2008 he is full professor, presently within the University of Lorraine created from a merging of local universities in 2012. Dr. Montemezzani is a member of the Laboratoire Matériaux Optiques, Photoniques et Systèmes (LMOPS), a joint research laboratory between the University of Lorraine and the Engineering School ("Grande Ecole") CentraleSupélec. Between 2005 and 2018 he was the local responsible and coordinator for the Physics Masters program, which is jointly runned by the University of Lorraine and CentraleSupélec Metz. 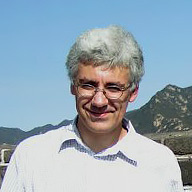 Dr. Montemezzani has also been co-chairing or co-organizing different scientific meetings, including the international workshop Lithium Niobate: from Material to device, from device to system (LN Workshop), held in Metz (France) in may 2005, and the European Conference on Applications of Polar Dielectrics (ECAPD8), held in Metz in september 2006. In June 2019 he will be chairing the biennial international conference Photorefractive Photonics and beyond 2019 (PR’19) to be held in Gérardmer (France). Dr. Montemezzani is a member of the Swiss Physical Society, German Physical Society, French Optical Society and the Optical Society of America (Senior Member). He has authored or co-authored 6 book chapters, about 80 articles in refereed scientific journals as well as several conference proceedings. the study and realization of dynamic and reconfigurable light induced waveguides and waveguide arrays for of all-optical interconnects and switching. the study of light propagation in specifically designed waveguide structures and its analogy with quantum dynamics in driven multi-state quantum systems. the study of nonlinear systems and processes for optimized frequency conversion and THz photonics. Several approaches and material systems are under investigations. Home Articles Book Chapters Links & Downloads © 2018 Germano Montemezzani. All rights reserved. Designed by Sandro Montemezzani.